In a world where citizens are increasingly turning to virtual private networks (VPNs) to avoid social media tax, the threat of hacking or to overcome censorship ahead of national elections, it is becomingly more and more useful to have immediate access to expert advice regarding which VPN provider is the safest and most effective. Enter BestVPN.com – the world’s number-one VPN comparison website, according to The Sun. A VPN price comparison and review site headquartered in Wirral of the United Kingdom, BestVPN.com was formed in 2013 with the purpose of offering site visitors three specialised services: a comprehensive comparison of all VPN services, educational articles designed to teach people how to stay safe online, and last but not least, up-to-date news on issues relating to cybersecurity, cyber law and digital privacy. These matters don’t only affect individuals who wish to browse the internet - businesses in particular are advised to stay ahead of cybersecurity trends and invest in an appropriate VPN today. The risk of viruses, hackers or damaging plug-ins that might impact a company’s website and therefore their customers if a member of staff is linked to the business accounts through their smartphone or laptop is too much of a risk for many smart businesses to ignore in this internet-savvy age. The idea of accessing blocked websites – for example The BBC is blocked to web browsers in China and Vietnam – is for many businesses appealing if not downright necessary and a VPN service will help staff overcome this problem. 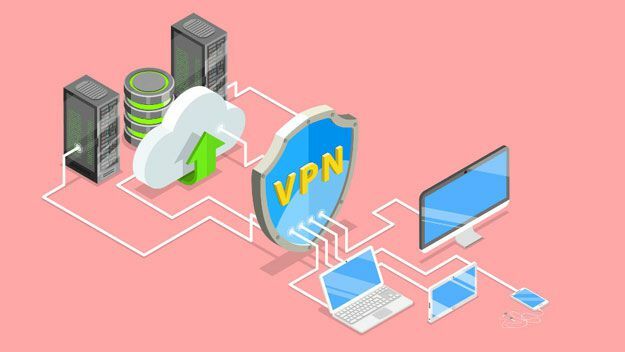 At the most basic level a VPN can enable enhanced internet connectivity and a smoother browsing experience by connecting users to a local VPN Point of Presence (POP). For those who aren’t operating businesses the benefits of investing a small monthly sum into a VPN service are unlimited: one is able to hide their online activities from their ISP and resultantly from the government; one can evade forms of government or workplace censorship and access any site in the world; one can ‘trick’ their computer into believing they are in another region and therefore access region-specific programs on Netflix and BBC iPlayer, as well as access sporting events only shown in certain countries; and one can download P2P torrent streams safely. Protection from online hackers is perhaps the greatest benefit, especially given that wireless providers have in recent times been known to capture user’s personal information and sell it to data miners, making it relatively easy for hackers to retrieve people’s financial information, emails, passwords and other personal information. But with hundreds of VPN providers on the market it is difficult for consumers to choose the right provider for their needs. Some consumers require VPN access for multiple account users, log-ins from remote locations, and the ability for the VPN service to scale up as their needs grow. With BestVPN.com the choice is made easy for buyers. With its team of experts testing various VPN service’s speeds multiple times a day, checking for leakages (DNS, WebRTC, IP) and also testing usability and software, one can rest assured the hard work has already been done for consumers. There is no such thing as being 100% safe in the digital age, but with a VPN provider one is that little bit closer to achieving online anonymity. One would say investing in a VPN is well worth it for just a couple of dollars a month.